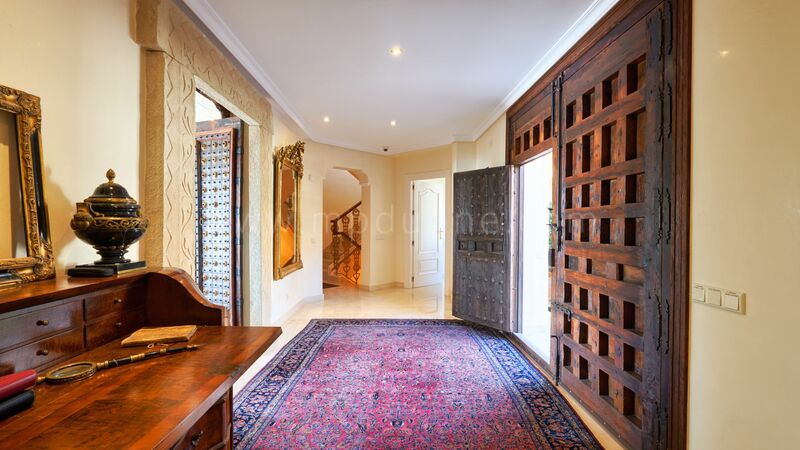 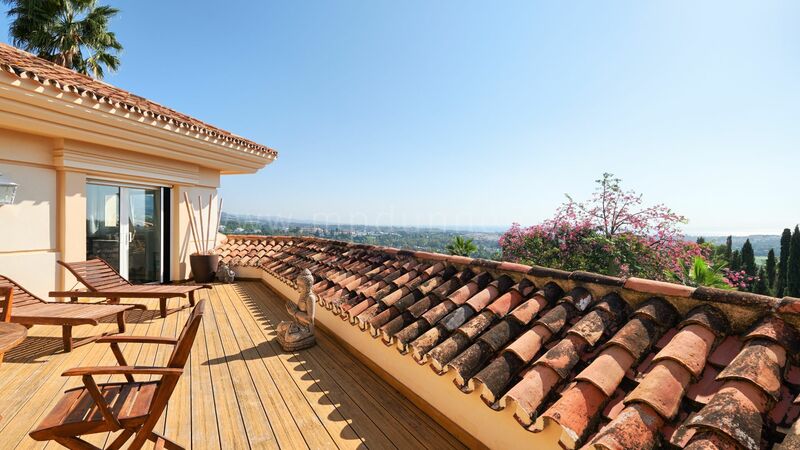 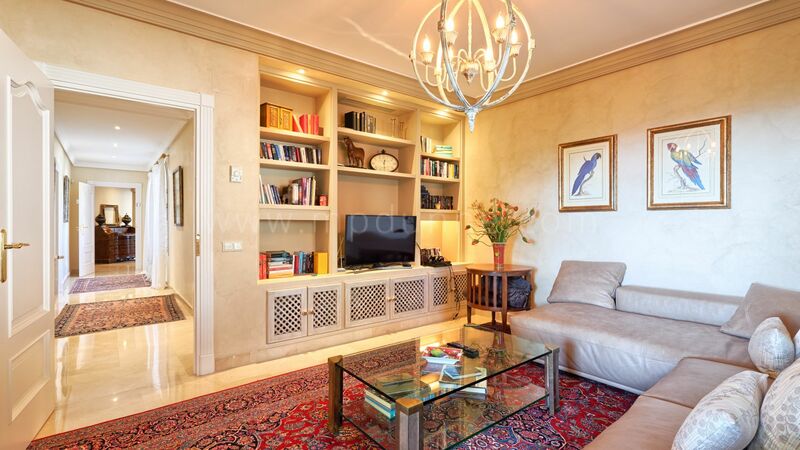 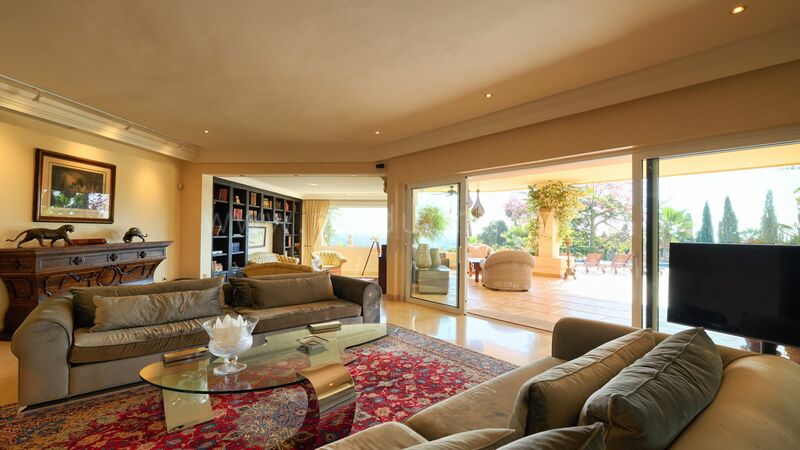 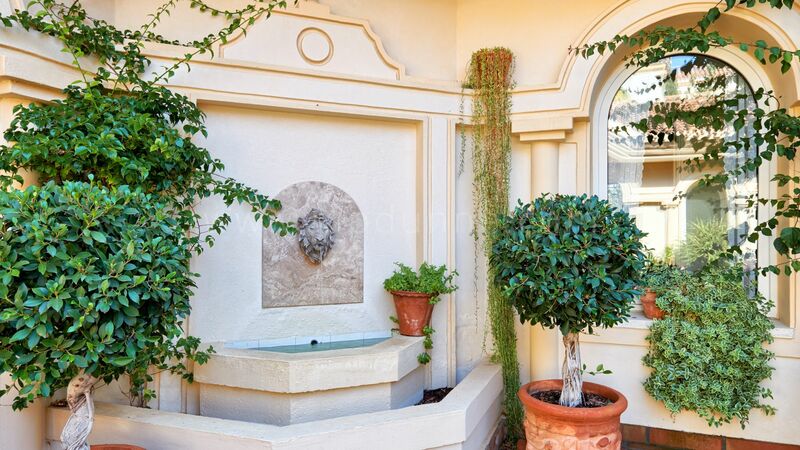 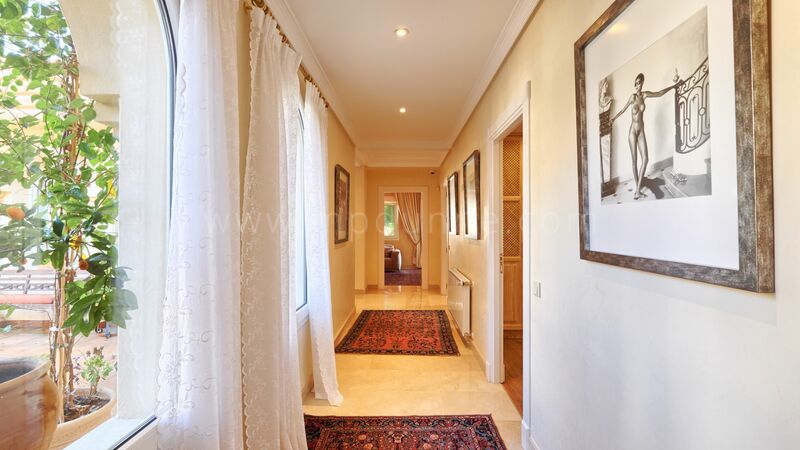 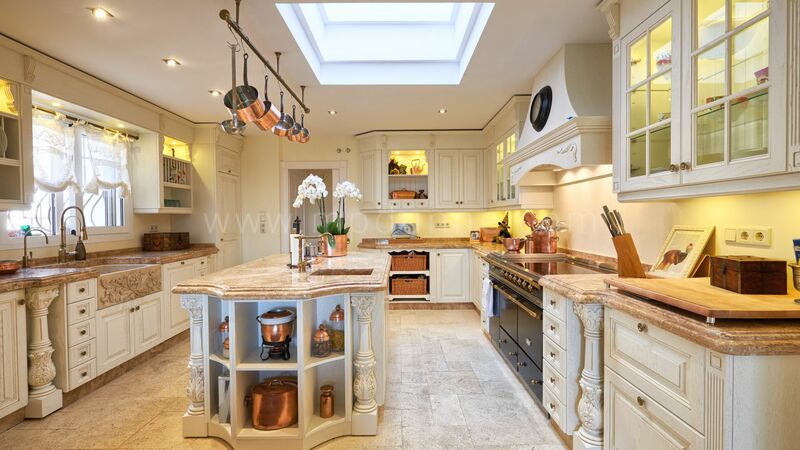 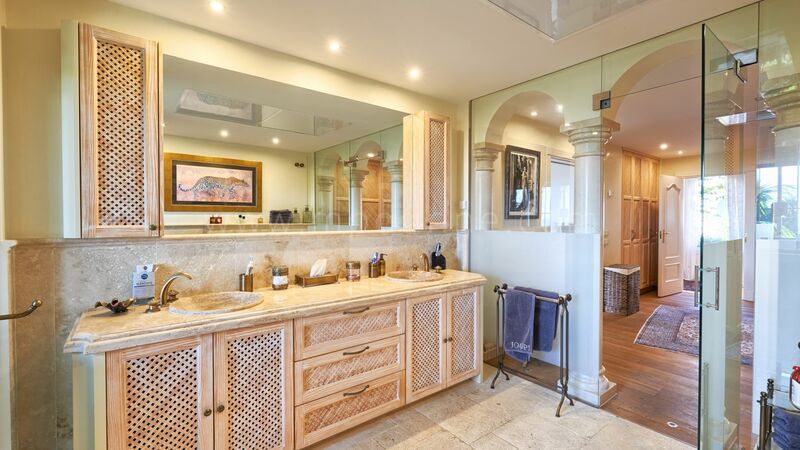 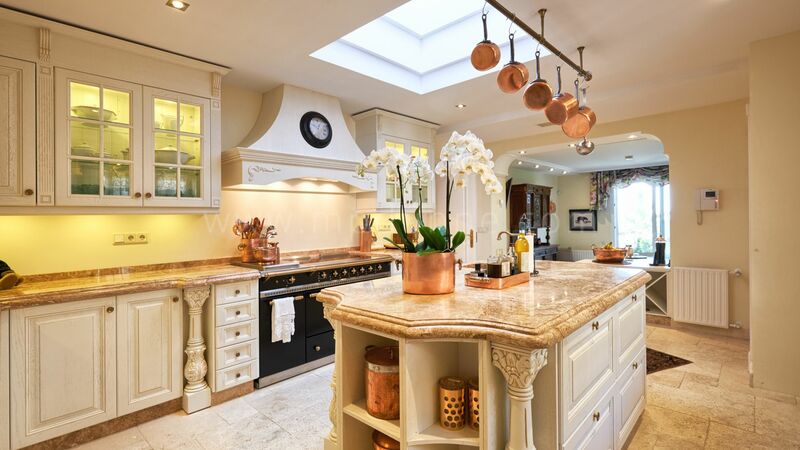 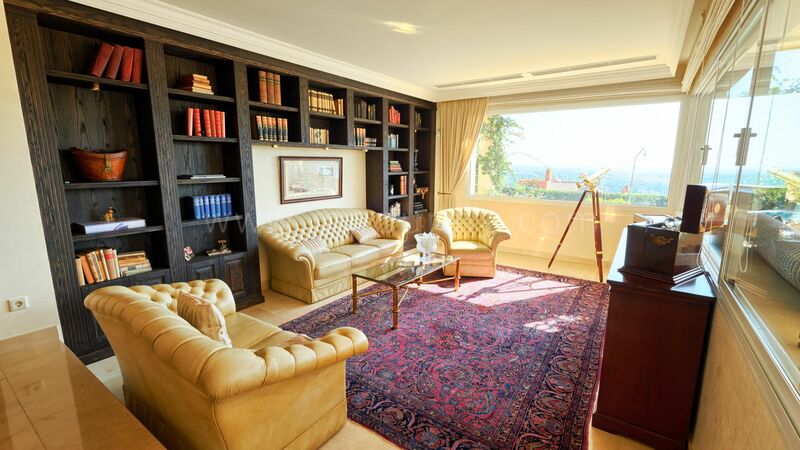 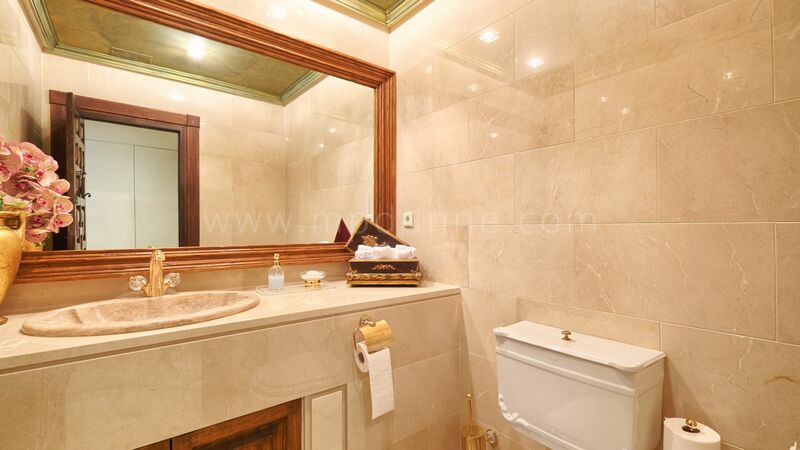 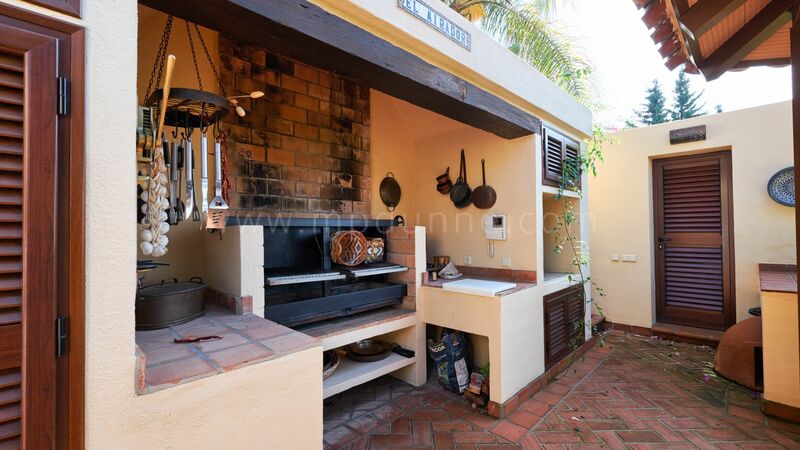 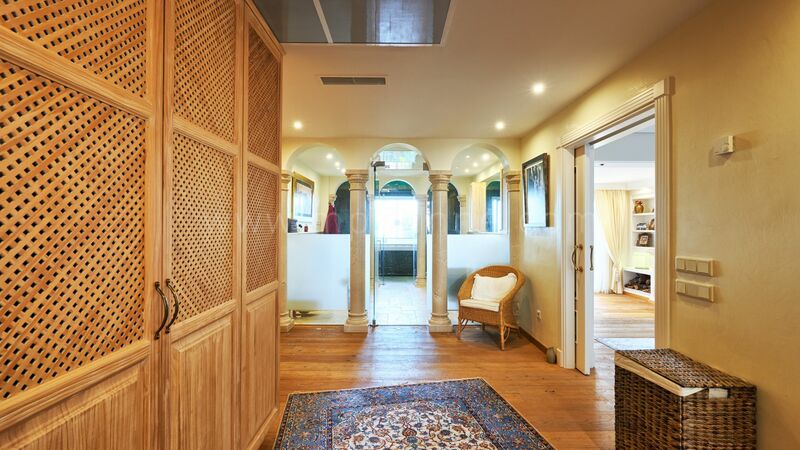 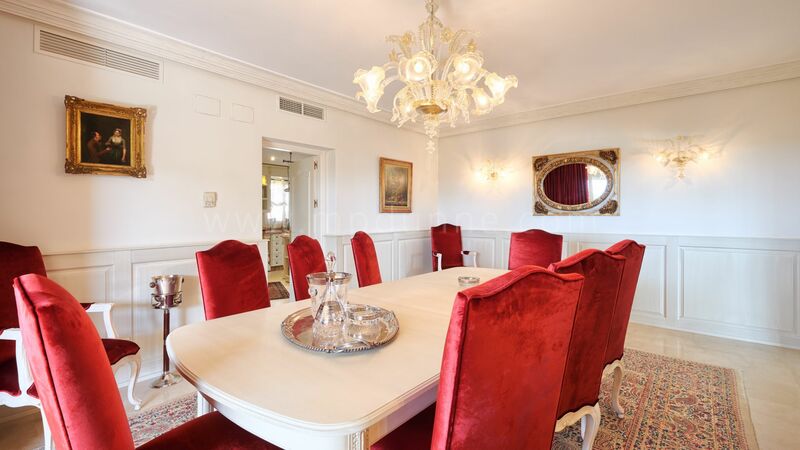 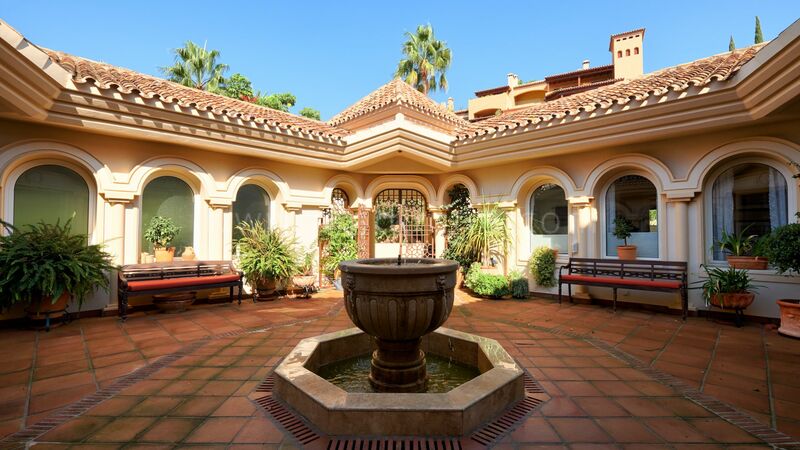 This charming classical style villa was recently partly renovated. 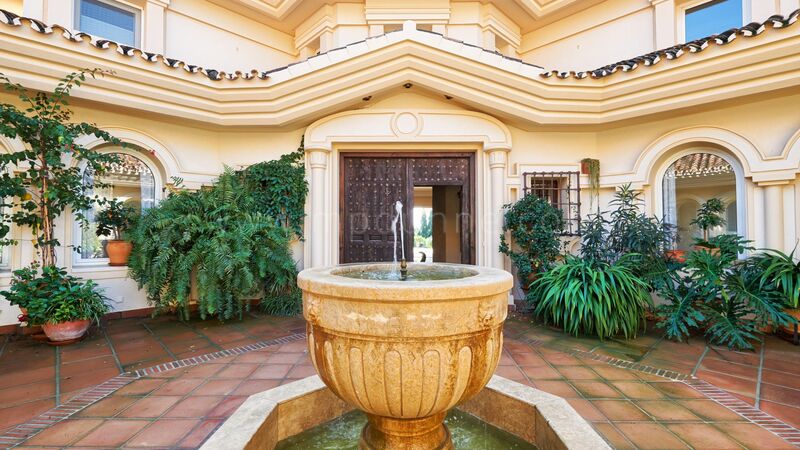 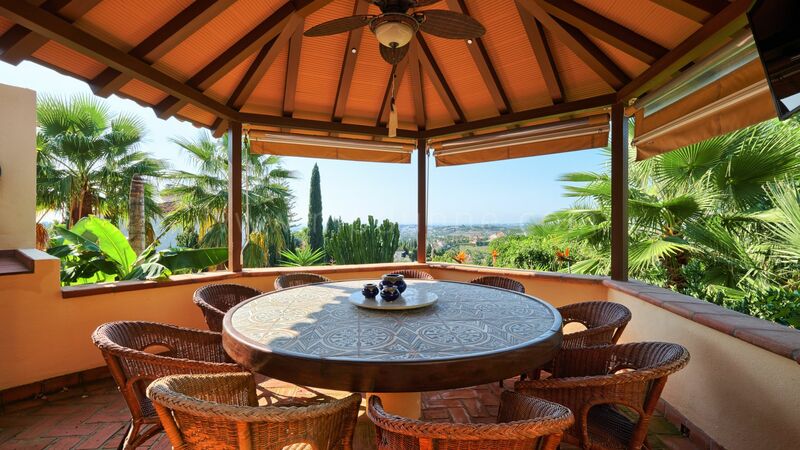 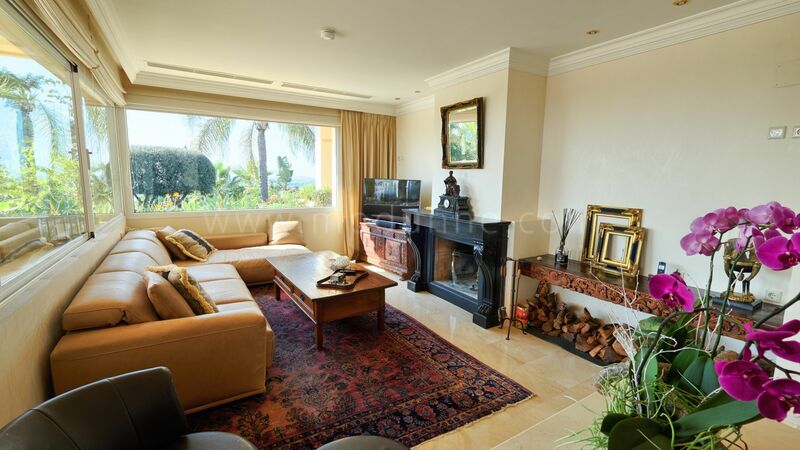 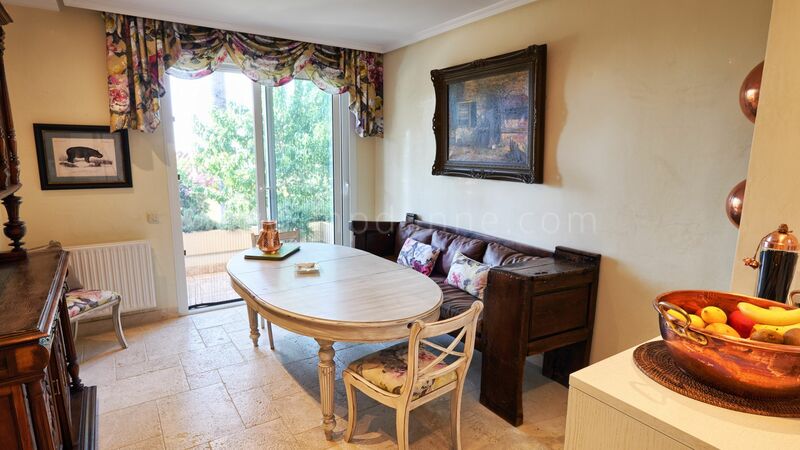 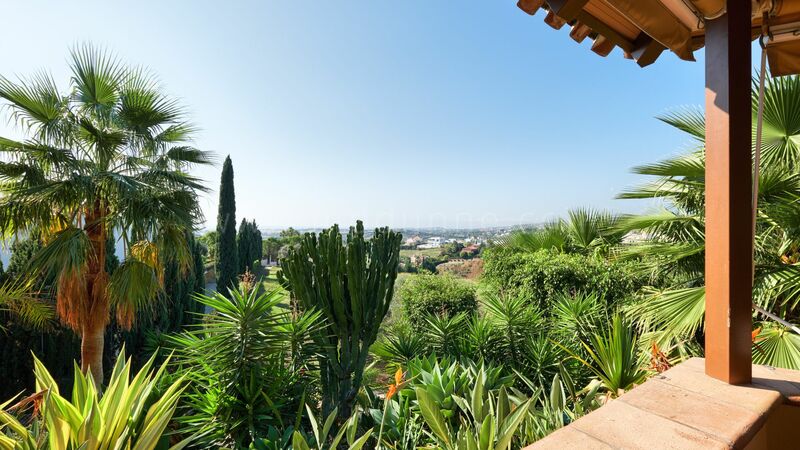 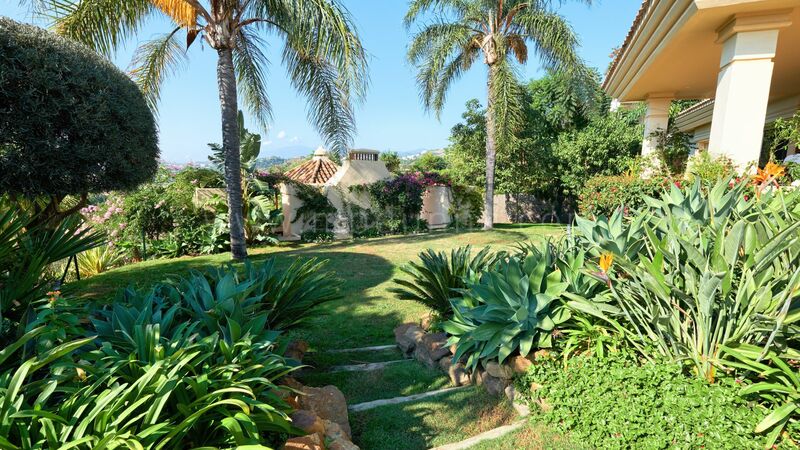 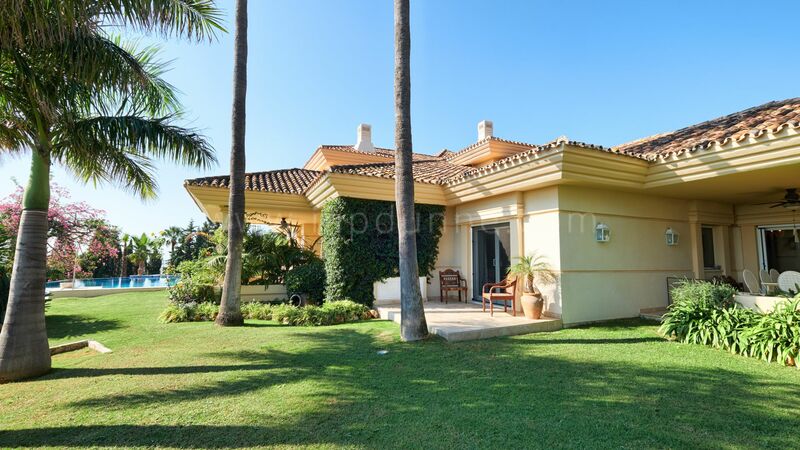 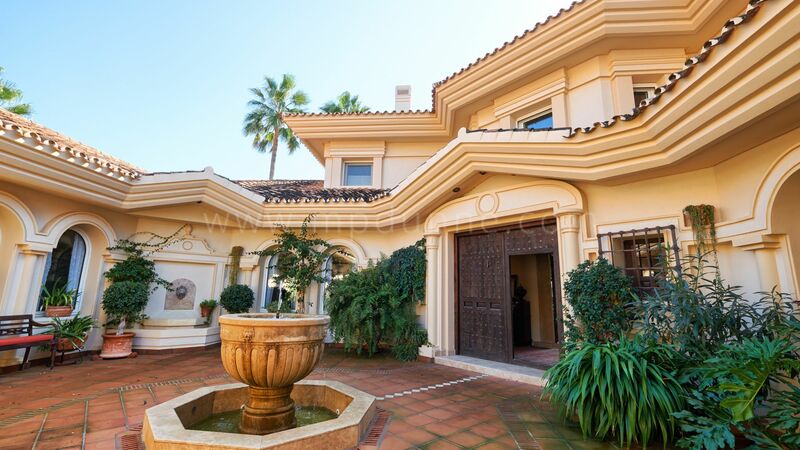 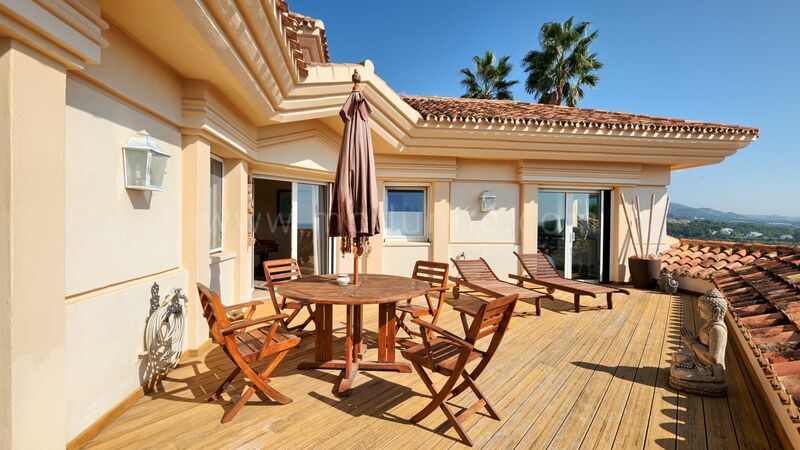 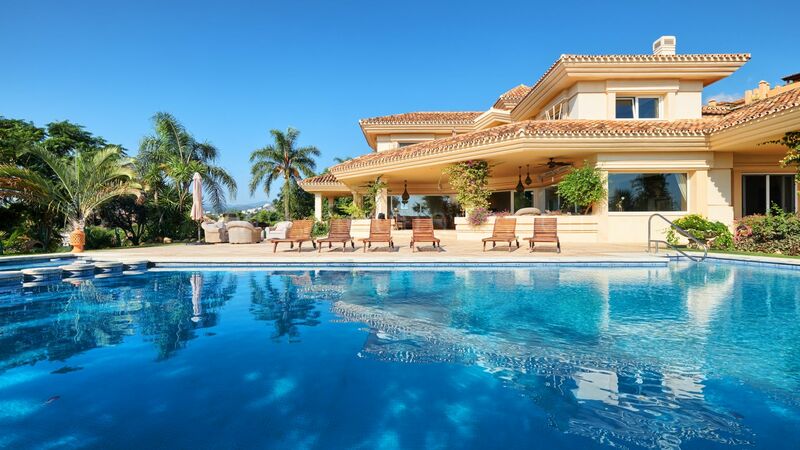 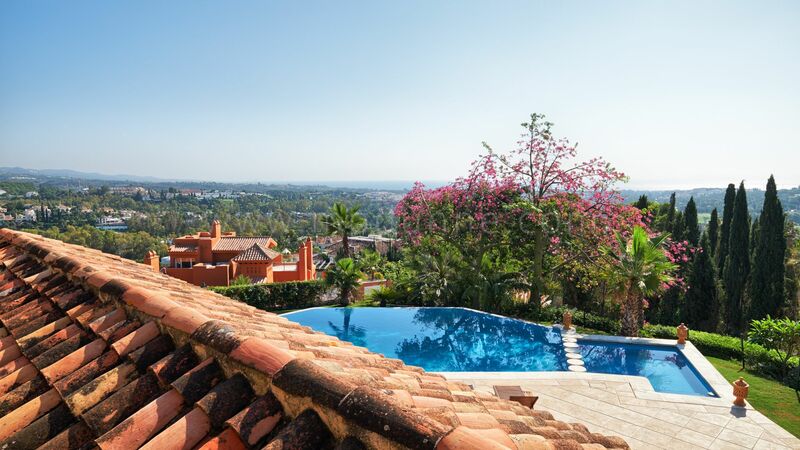 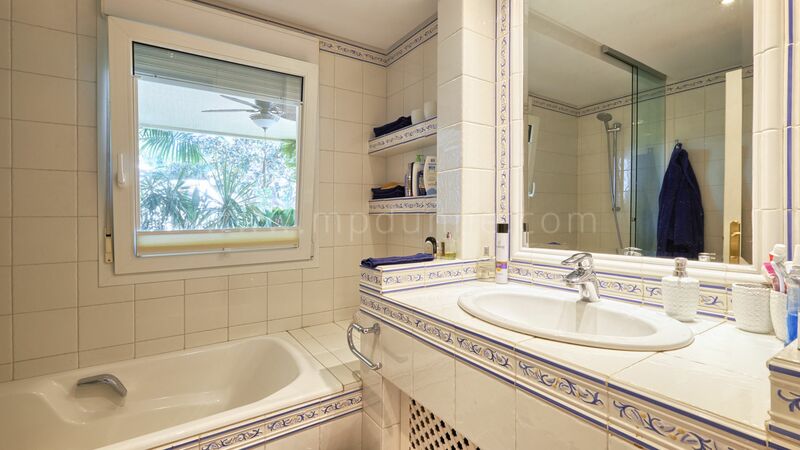 It is located in the private and quiet residential area of La Cerquilla between the Los Naranjos and Las Brisas golf courses, close to all amenities, the beach and Puerto Banus. 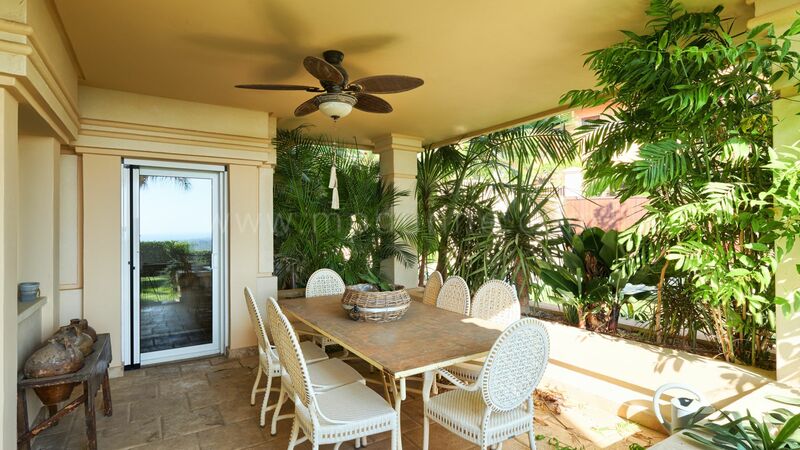 It has south orientation and breathtaking panoramic sea views! 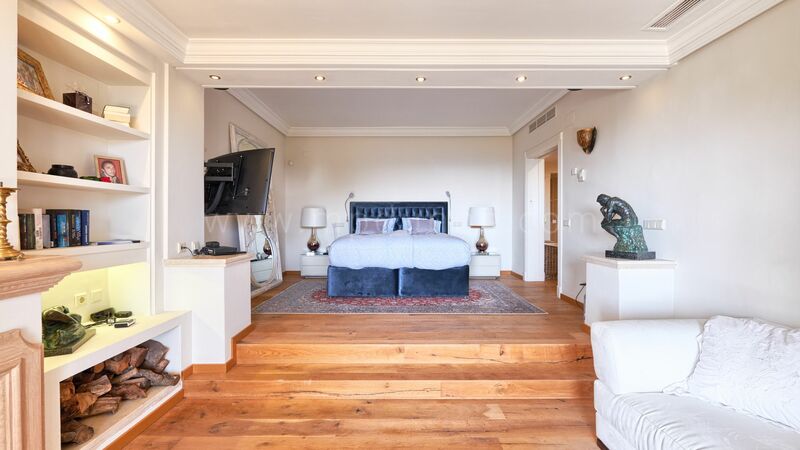 On the main floor you will find a large entrance, two different living areas, tv room, with dining area, master bedroom en suite with dressing and fireplace, two guest bedrooms en suite, staff room with bathroom. 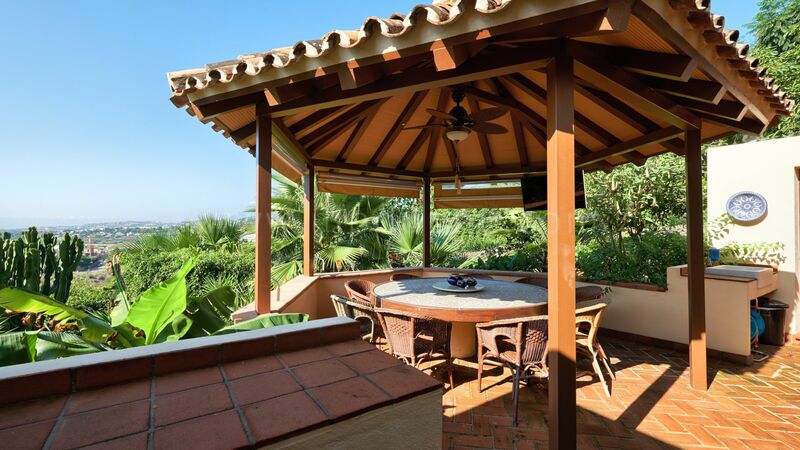 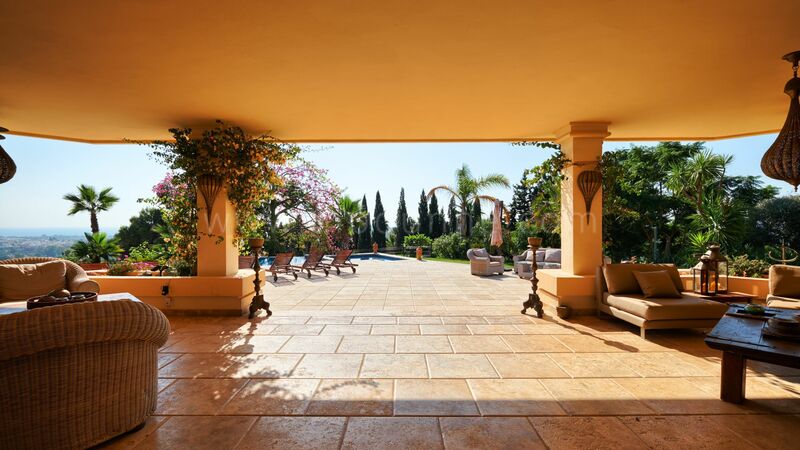 You also have a direct access to the open and covered terraces (all around) and garden and pool. 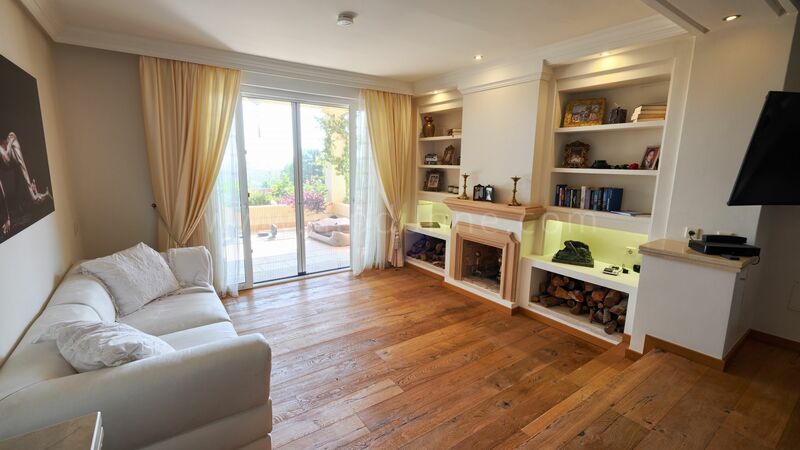 On the upper floor there are three guest bedrooms en suite. 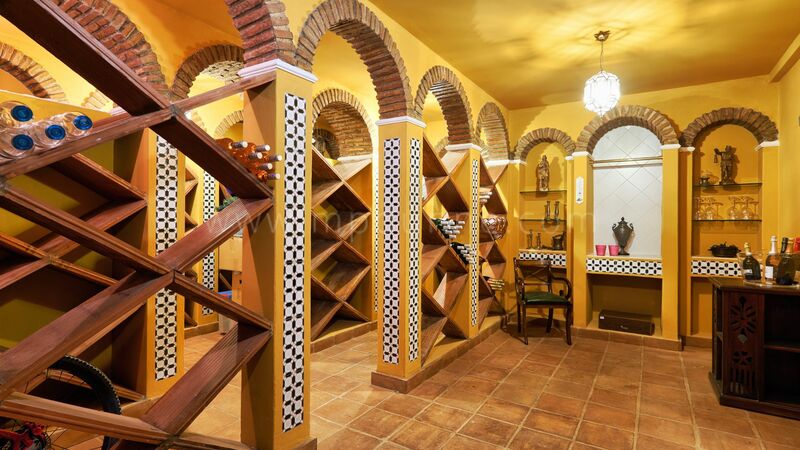 On the lower level you will enjoy a games room, gym and bodega. 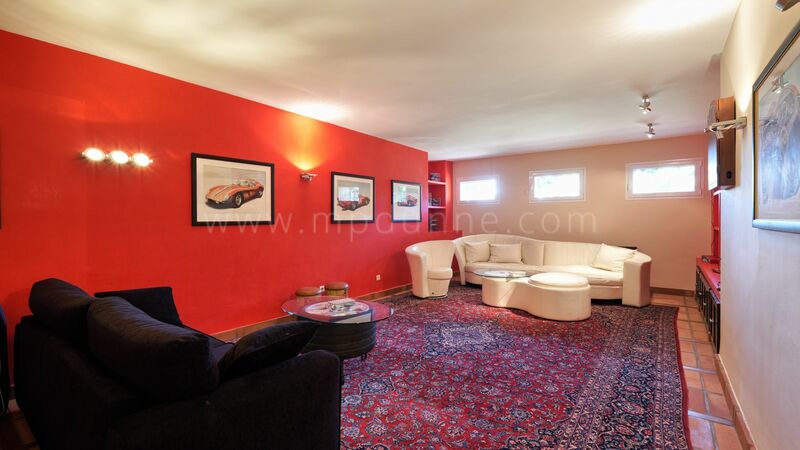 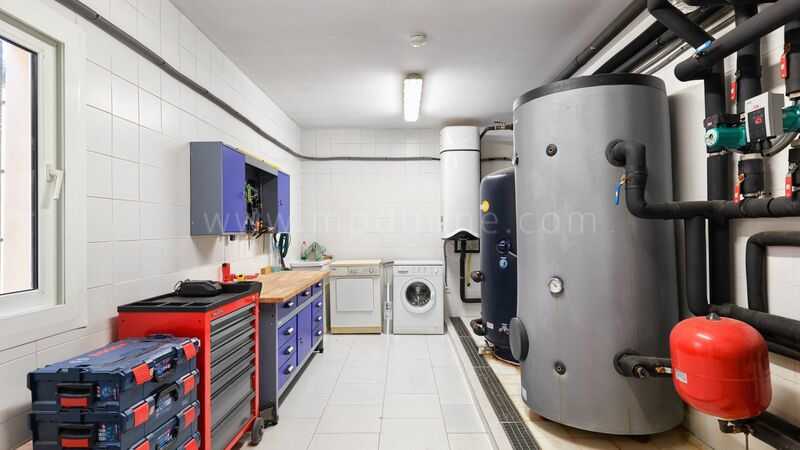 Garage for 3 cars and outside parking are included in the price. 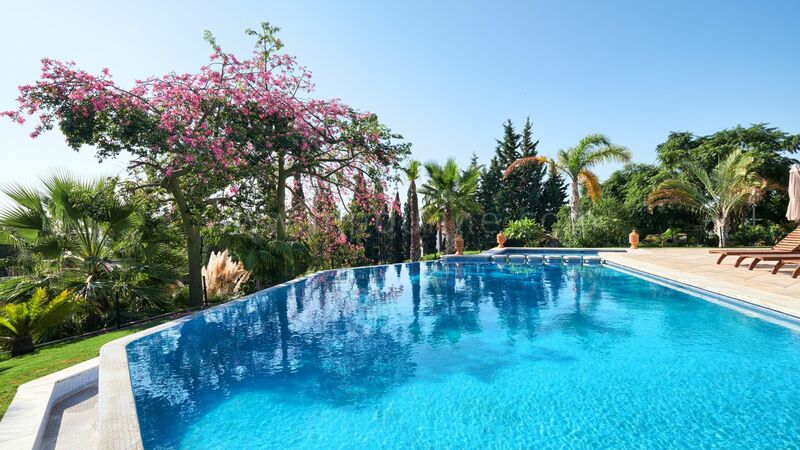 Stunning property for permanent living or summer residence in great location!